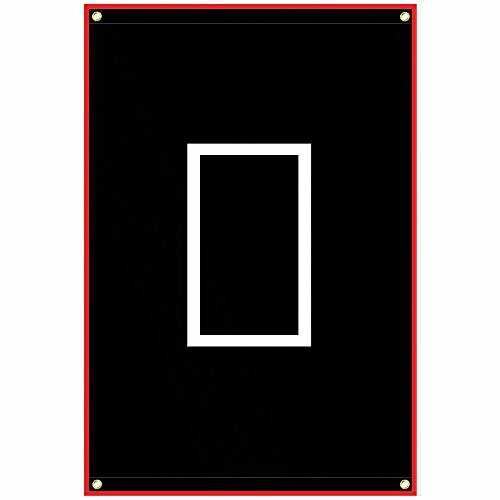 Our SELECT 4'x6' Heavy Duty Vinyl Backstop provides an economical way to protect your net. 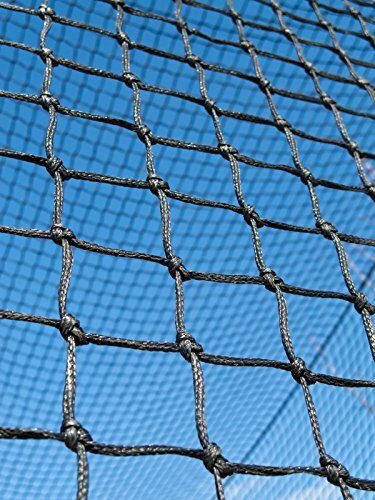 #24-100% Twisted Knotted Nylon Backstop Netting. NO RETURNS ACCEPTED! These nets are hand made custom to the dimensions provided by the customer. Also, these nets are used by Major League Baseball teams across the country. Please triple check your measurements before ordering because this custom net made to your specifications cannot be resold. Nets of America Inc. specializes in netting for baseball and softball use. Our superior quality baseball netting holds up to abuse taken by batting practice and weather elements. Our nets are UV protected and have a weather treated finishing for durability. We guarantee excellent quality netting at affordable prices so you don t break the bank. Nets of America is your first choice for affordable, enduring baseball netting and being in the industry for 12 years now, we know what it takes to make a quality net. Whether it is a baseball net, baseball batting cages, baseball backstop nets, heavy duty barrier nets, drop nets, or any other custom size baseball netting, Nets of America has you covered. Heavy duty tarpaulin materials, 650g/M2 Durable grommets. Bungees included Very easy set up and move. 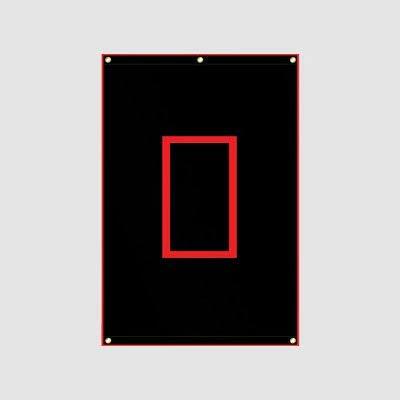 *TARGET RANGE: The 4FTX6FT vinyl backstop allows you to practice hitting with confidence and stops the hardest pitched balls. 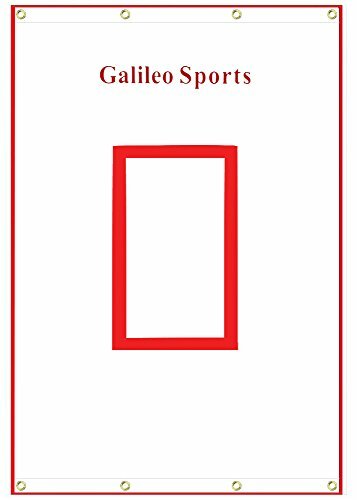 *DURABLE MATERIAL: The Galileo baseball/softball backstop is made of high quality imported PVC material and , resistant to high temperature, strong light, will not be oxidized for a long time practice. *BUNGEE GIFT: There are 8 bungees in each backstop for hanging into the metal grommets, more easier installation and removal. 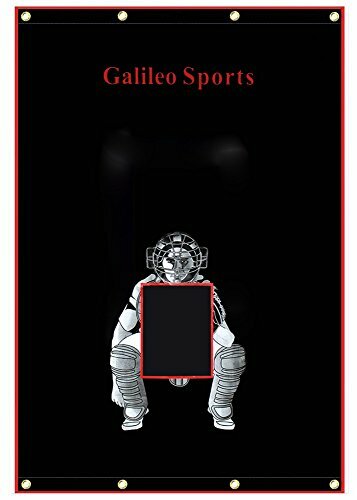 *PRINTING LASTING: The printing of Galileo Backstop uses the strongest printing material, and the printing color is still clearly visible after 100 high temperature verification. *PRODUCT WARRANTY: Galileo provides full lifetime product replacement support and 60days refund,please contact us directly if you need any requirements. Brand: Galileo | Manufacturer: Qingdao Kapler Leisure Pro. Co., Ltd. This is 6 foot tall / deep #21 twisted nylon netting. It comes in just about any length you need. Just pick your size from the drop down above. #21 nylon is over 225 lb test. It is a twisted nylon square mesh netting. 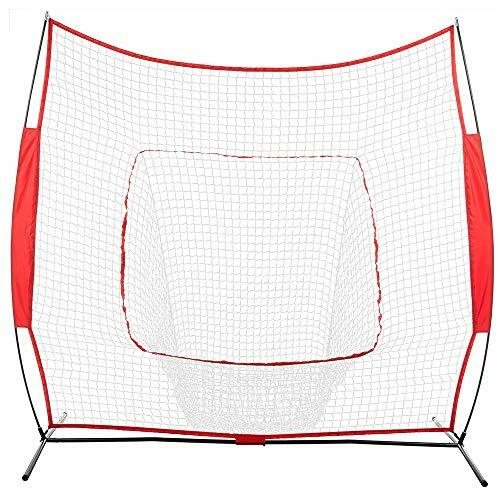 It can be used for a backstop, barrier net or a protective screen. It can be used for close impact. 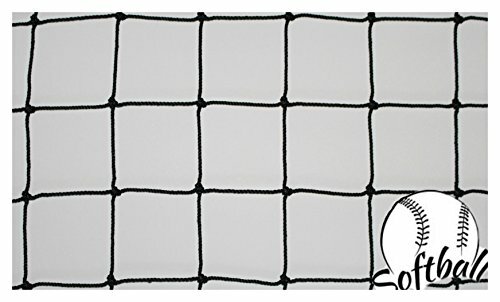 It is most commonly used for a backstop for baseball or softball but can also be used as a barrier net for soccer. It has an extra UV inhibitor added during the dyeing process for extra long life outside but can also be used indoors. This netting can also be used to make a batting cage. All orders are cut and packed in the US. 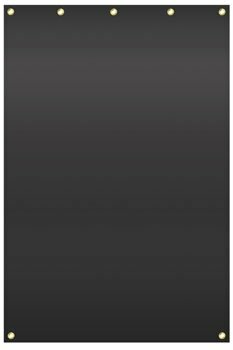 The Cimarron 4'x6' Vinyl Backstop - a great addition for your batting cage or for pitching practice. This backstop stops the hardest pitched balls with no problem. Provides an economical way to protect your net. Stops the hardest pitched balls. Easy to set up and move. Heavy duty grommets. This is 5 foot tall / deep #21 twisted nylon netting. It comes in just about any length you need. Just pick your size from the drop down above. #21 nylon is over 225 lb test. It is a twisted nylon square mesh netting. It can be used for a backstop, barrier net or a protective screen. It can be used for close impact. 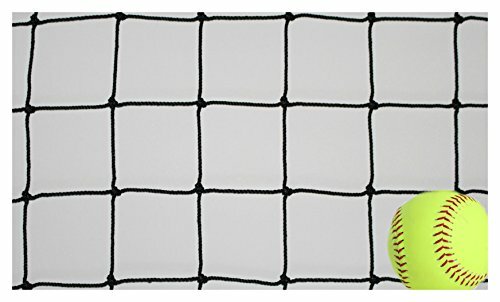 It is most commonly used for a backstop for baseball or softball but can also be used as a barrier net for soccer. It has an extra UV inhibitor added during the dyeing process for extra long life outside but can also be used indoors. This netting can also be used to make a batting cage. The Cimarron 4x6 Rubber Backstop absorbs balls hit against it for a long period. It is constructed of 1/16" thick rubber with heavy duty grommets for hanging. 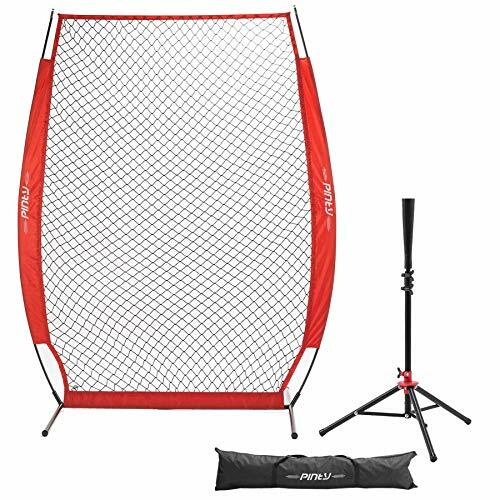 This 7' x 4' baseball net and an adjustable tee make a perfect combination to help you towards a veteran baseball player. Making baseball practice convenient and enjoyable. With our portable and lightweight equipment set, you can have an easy access to the fun of baseball in your backyard, in the park, even in a garage, no limitations! 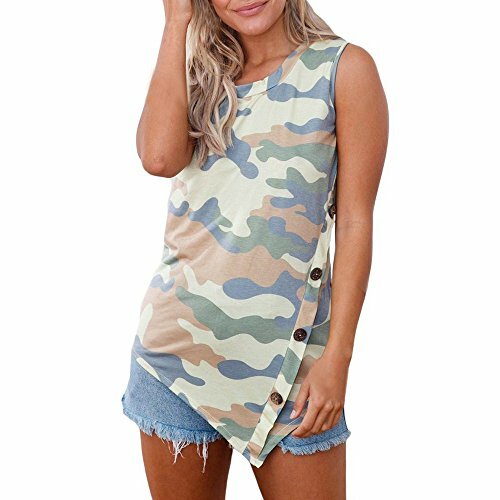 Size:S US:6 UK:10 EU:36 Bust:95cm/37.4" Length:72cm/28.3"
Size:M US:8 UK:12 EU:38 Bust:100cm/39.3" Length:74cm/29.1"
Size:L US:10 UK:14 EU:40 Bust:105cm/41.3" Length:76cm/29.9"
Size:XL US:12 UK:16 EU:42 Bust:110cm/43.3" Length:79cm/31.1"
Size:XXL US:14 UK:18 EU:44 Bust:115cm/45.3" Length:82cm/32.2''"
If you would like to know more products of our store, please pay close attention to BEUU."